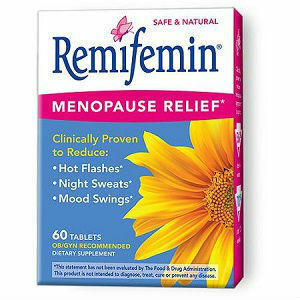 Remifemin claims to provide up to 70% relief from hot flashes, nights sweats and mood swings, irritability and sleeplessness. Remifemin Good Night is also available as menopause symptoms can give you sleepless nights. It’s important that you find a product that will not only help you lessen menopausal symptoms during the day but also during the night to make you feel refreshed in the morning. Remifemin Good night is recommended by OB/GYNs as it provides a formulated combination of essential ingredients for a better night’s sleep. Valerian (Valeriana officinalis) root extract – an herbal plant used as a sedative and an anxiolytic or an anti-anxiety agent. It has been used since the times of Ancient Greece and Rome as a remedy for insomnia. Lemon Balm (Melissa Officinalis) leaf extract – an herbal plant from the mint family which has a lot of uses: cure for upset stomach, bloating, flatulence, vomiting and colic, menstrual cramps, headache and toothache. It has also been believed to have a calming effect, thus taken by people with anxiety, sleep problems like insomnia and restlessness. The plant has also been used for more serious illnesses such as ADHD or Attention Deficit Hyperactivity Disorder, Alzheimer’s disease and other autoimmune diseases. Hops (Humulis Lupulus) – a climbing herbal plant which grows early in spring and dies out in early autumn. In mild amount, it helps treat insomnia, menopausal symptoms and sleeplessness and Rheumatic diseases. Black Cohosh – an herbal plant whose roots are used for medicinal purposes. It was widely used in Europe in the 1950s and has since been used to help women’s health issues such as menopausal, premenstrual syndrome, acne, and osteoporosis and for starting labor in pregnant women. It does not contain estrogen so it is safe for women who are forbidden to take medications with strong estrogen content, such as breast cancer. Remefimin is suggested to be taken once in the morning and once in the evening. A bottle has 60 tablets and is good for a full month’s supply. One concern of taking Remifemin is whether it is safe to take more than the recommended dosage. Studies on the product show that taking 3 tablets twice a day is still considered to be safe when symptoms start to come back, however, it is still strongly recommended that the patient should consult their doctor first before doing so. Remifemin regular tablets are available for $19.95 and have 60 tablets for a month’s supply and the Remifemin Good Night capsules which have 21 tablets are also available for the same price. The products are also available in local stores and online. They do not state whether they have a money back guarantee or any special offers, which may make a lot of customers hesitant in purchasing their product. While Remefimin can be considered cheaper compared to other medicines for menopause, there are only few ingredients that work together in fighting menopausal symptoms and when you look at their label, their only active ingredient is Black Cohosh. Their lack of a money back guarantee is also a big thing to consider. A company that does not offer a money back guarantee is one that is not confident in its product. Jackie Horowitz	reviewed Remifemin	on October 14th	 and gave it a rating of 2.